pout.com. Sleepout hire and caravan hire. Providing portable accommodat­ion. Sleepout hire for your accommodat­ion needs, delivered. 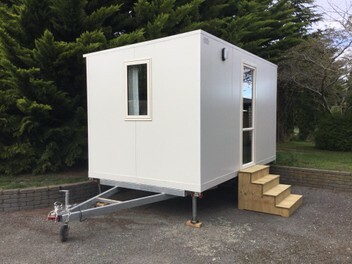 An extra room that is portable. Our Sleepouts are suitable for a boarder, workmate, flatmate, family members, as a smoko room, farm worker accommodation, on a lifestyle block or at your rental property as an extra bedroom to put on airbnb. Ring to check availability. Insurance quotes available. Refer to our other listing for caravan hire details. All units have current EWOFs and smoke alarms, carpet, curtains, lights and powerpoints. Excellent service , very friendly, delivery on time , everything setup for us before he left . Definitely Recommended . Thanks a lot!! Awesome company, great service and communication. They looked after us very well. If we ever need portacoms again we know where to go. Thanks.